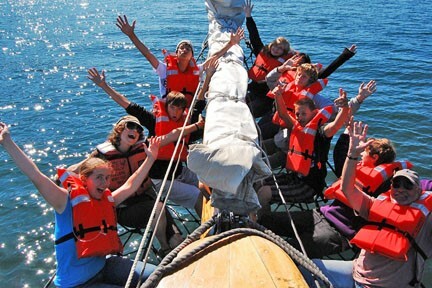 Girls in grades 7-12 will step aboard to develop their skills and confidence as leaders, sailors, and advocates for the future of Puget Sound. 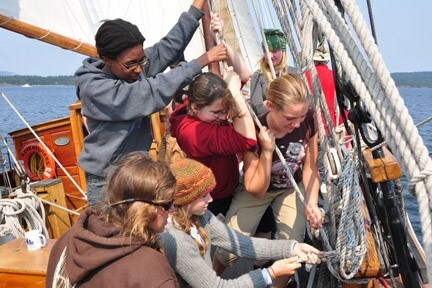 On this 4-day voyage, girls will be teamed up with women mentors who are experts in their field. This trip will include sailing adventures and specific activities dedicated towards leadership development and STEM. The cost is $525 for Sound Experience Members and $615 for non-Members. A limited number of full and partial scholarships are available for our teen overnight programs. For more information, click here. On this 6-day program, participants join the crew of Adventuress to sail throughout the Salish Sea. While aboard the ship, teens are assigned to Watches and take part in setting sails, steering the ship, caretaking the vessel, standing Anchor Watch at night, and learning about Puget Sound. Participants will also get a chance to stretch their legs on shore-based excursions, which may include hiking or helping with a restoration project. The ship anchors out in a different location each night. Cost is $785 for Sound Experience Members and $925 for non-Members. 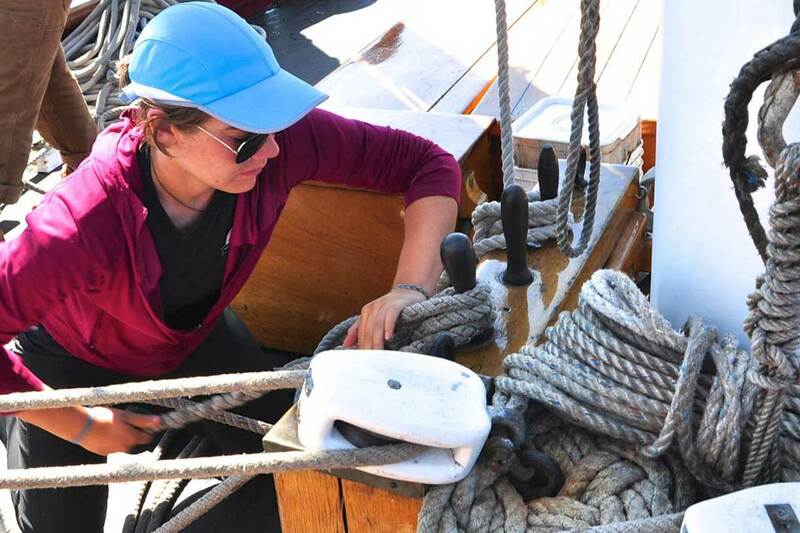 Our Ship's Apprentice Program is a special opportunity for teenagers between the ages of 15 and 17 who have previously sailed aboard Adventuress on an overnight program. As a Ship's Apprentice, you will become a junior member of the crew, assist in leading a watch, improve your deck skills, and support our environmental programs. To find out more, please visit the Apprentice page. Though all of our programs are subsidized, we also provide some partial and full youth scholarships on a limited basis. Scholarship recipients are chosen based on financial need, as well as the applicant's interest and enthusiasm for our educational programs and mission. Eligible programs for a Sound Experience youth scholarship are Girls at the Helm and Fantastic Voyage. To find out more, visit our Youth Scholarship page.